Disk and CPU related performance counters and DMV information can be difficult to interpret and compare when activity levels differ massively. This Cellular Automation (CA) application places a precise workload that can be repeated, adjusted and measured. It includes various ‘Pattern Generators’, one that uses Geometry and places a CPU load, another that uses set based queries that are IO bound and another ‘Hekaton’ version that uses in-memory tables and compiled stored procedures. 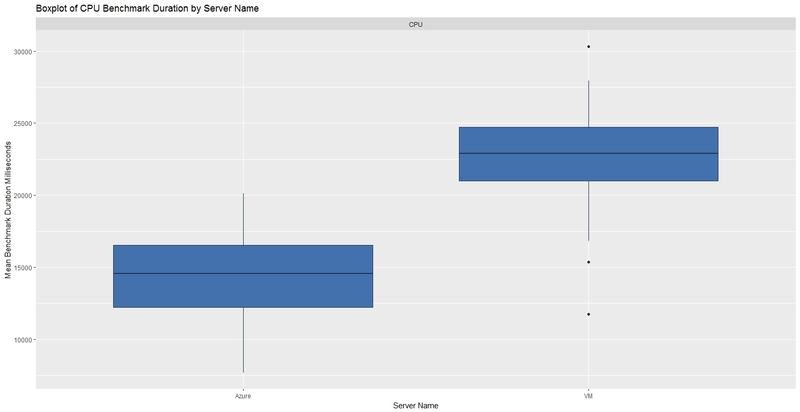 All three are implementations of ‘Conway’s Game of Life’, and a precise way to benchmark and compare the relative performance of different SQL Servers. Data is inserted at the start of each benchmark then automated using a fixed set of rules, buffer pool pressure doesn’t affect the benchmarks too heavily and typically, the same query plans are used regardless of SQL Server version or platform. The following link explains the rules implemented by this application http://en.wikipedia.org/wiki/Conway’s_Game_of_Life . 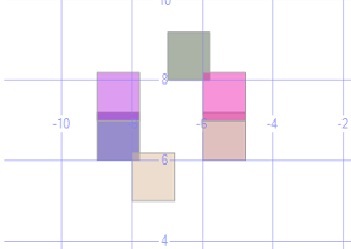 It is a Cellular Automation application with a virtual grid of z , y coordinates pre-populated with different patterns, the rules below are then applied and repeated. A cell represents a coordinate or a Merkle. Run the setup scripts below in SQLCMD mode to create the CA Benchmark database, then call the CA_Benchmark procedure, set the ‘Database Name’, ‘Data File’ and ‘Log File’ variables before execution. With the ‘CPU benchmark’ parameter, the coordinates are converted to geometric polygons, cell sizes are increased by 20% and the geometric ‘Intersect’ method is used to count adjacent Merkles. This cell expansion is illustrated by the ‘Toad’ pattern (see wiki) shown below in its base state/starting pattern. When the automation rules are applied to the pattern above, the pattern below is generated on the 1st iteration, it returns to it’s base state/starting pattern on the next iteration, this simple Stress Level 1 pattern changes between 2 states. 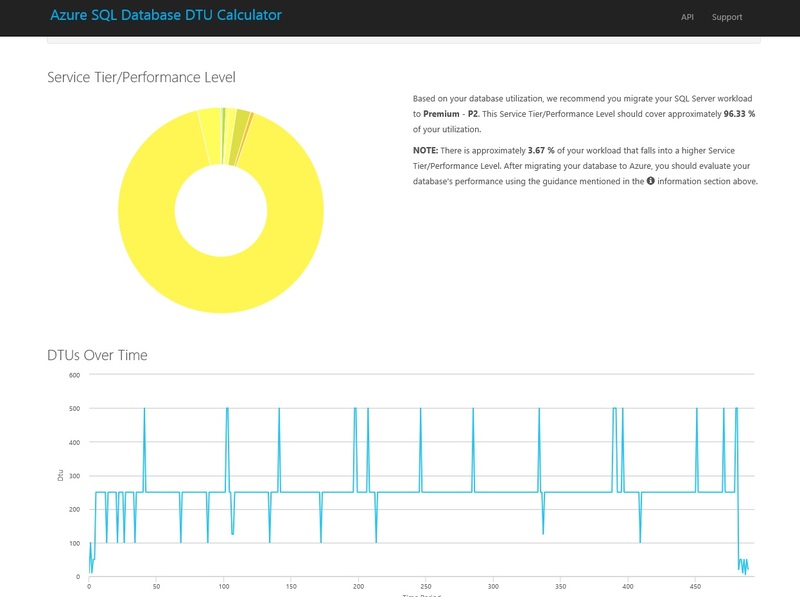 To simulate this example, execute the T-SQL below against the CA database (top left pattern). 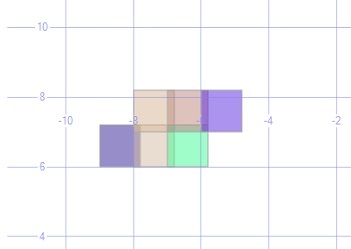 The screenshot below shows the initial patterns created at Stress Level 3. The screen shot below shows the patterns after 60 automations, 2 new ‘Gosper Glider Guns’ patterns (see Wiki) are created every 30th automation which increases the CPU, IO and memory cost. 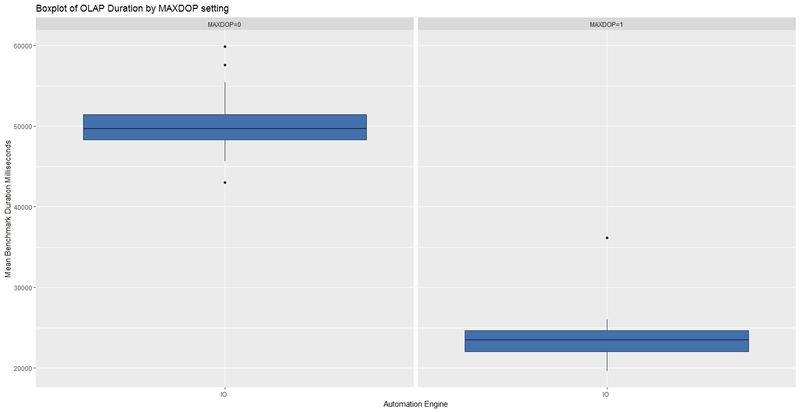 The more new patterns are generated, the more like an OLAP workload the automation benchmark becomes. To simulate this example, execute the T-SQL below against the CA database. The CA benchmarking process was invoked using OSTRESS with the parameters below, MAXDOP was set to 0 for the first two benchmarks then to 1 for the next two. When processing 1,000 small batches, the benchmark typically completed in half the time with MAXDOP set to 0. When processing 10 larger expensive batches, the benchmark typically completed in half the time with MAXDOP set to 1. 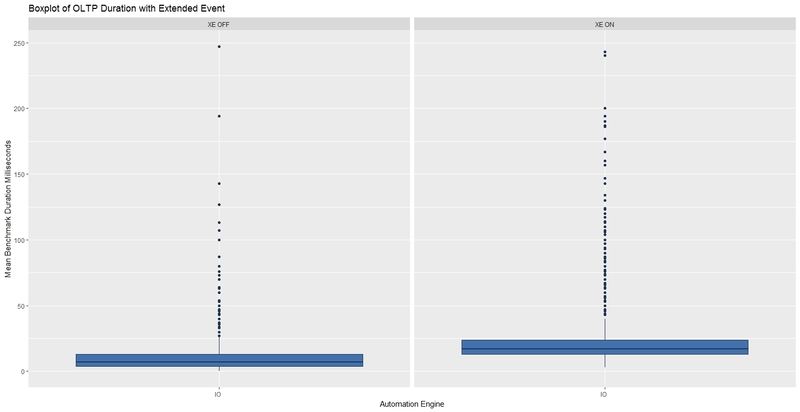 Use Case – Measuring the cost of an Extended Event session. The CA benchmarking process was invoked using OSTRESS with the parameters below, the extended event session (see references) ON for the first two benchmarks then OFF for the next two. When processing 1,000 small batches with the XE Session running, the mean benchmark times roughly double. When processing 10 larger expensive batches with the XE Session running, there was far greater variability in the benchmark times. A Microsoft whitepaper, ‘In-Memory OLTP – Common Workload Patterns and Migration Considerations’, highlights Hekaton performance and describes the workload patterns that suit in-memory OLTP. This is an independent assessment of Hekaton that includes the scripts and processes used so the result can be reproduced and is open to scrutiny. Benchmarks were taken for OLTP and OLAP bias work loads running as a single request then again in two concurrent requests. This was an attempt to access the performance of in memory tables and compiled stored procedures on a Windows Server 2016 virtual machine with SQL Server 2016 SP1, 8 GB of RAM and 2 vCPU’s. The CA benchmarking process was invoked using OSTRESS and the parameters below to simulate first an OLTP bias workload with many small batches, then an OLAP bias workload. 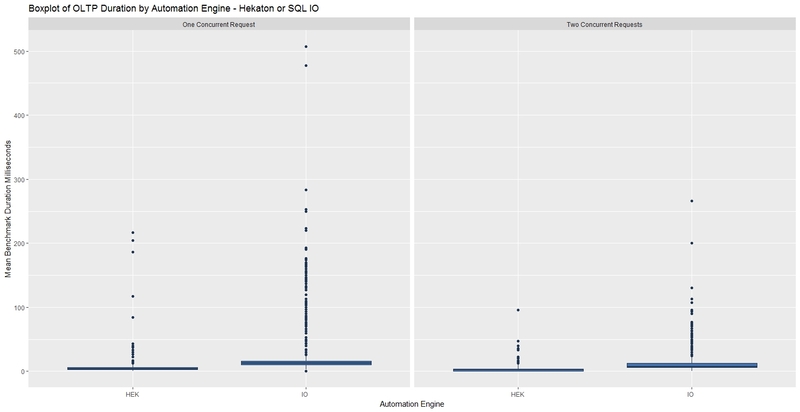 When processing 1,000 small batches, Hekaton performance was typically four times faster and more consistent mainly due to precompiled stored procedures. When processing 10 larger batches, Hekaton performance was typically five times faster and far more consistent mainly due to lock and latch contention changes. The CA benchmarking process (see references) was run on a local Hyper-V virtual server with Windows Server 2016 and SQL Server 2016, with 2 vCPU’s and 8 GB of RAM. The performance counters were captured during the benchmark and passed to the DTU Calculator which suggested Premium – P2. The same CA benchmark workload was then run on the VM & Azure (P2) using the parameters below, the results from both were saved as a single csv file and imported into R Studio. SQL Azure CPU performance, at the recommended P2 level, was close to twice as fast as the VM. 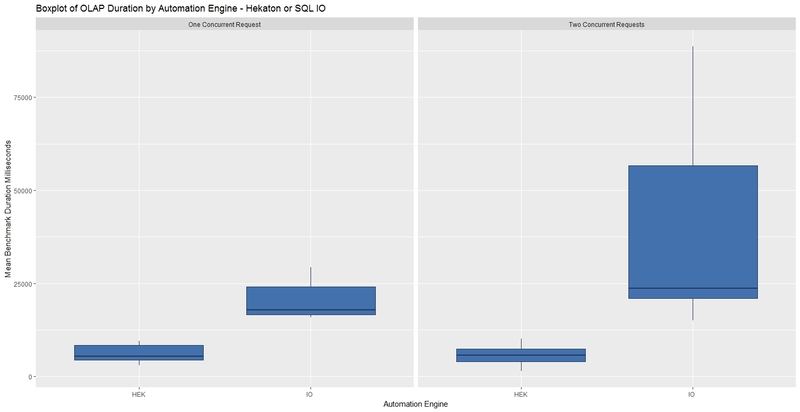 SQL Azure IO performance, at the recommended P2 level, was more than twice as fast as the VM. The T-SQL script below was then run in two concurrent query analyser sessions to produce the CA Benchmark workload, first on the VM then SQLAzure. The CA Benchmark procedure can executed without parameters to take a small benchmark or ‘Synthetic Transaction’. 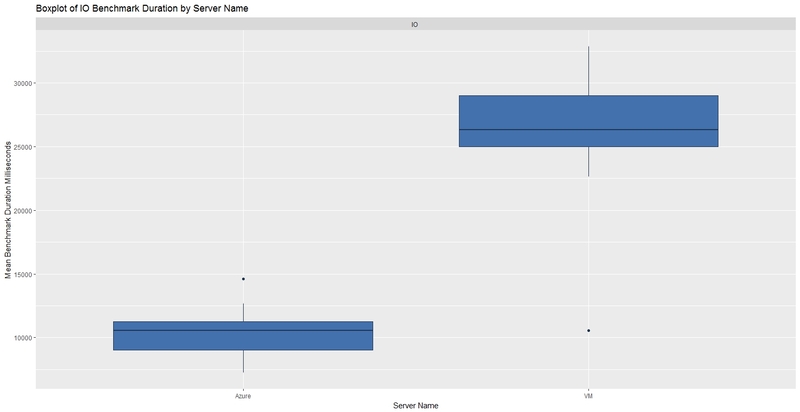 The graph below shows a busy development server hosting three instances of SQL Server 2012 under constant and consistent load. On the afternoon of the 15th September, a change was made and the available CPU count went from 20 to 60 for all three (non-affinitized) instances. The effect of the extra CPU’s was evident in the improved consistency of the CA Benchmark times. 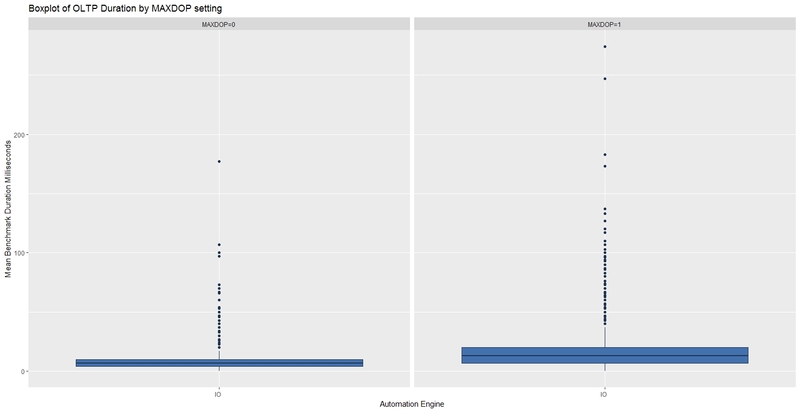 This graph was produced by scheduling a default CA Benchmark using the SQL Agent, once every 5 minutes, selecting all results from the benchmark results table, pasting into Excel and creating a pivot table and graph. 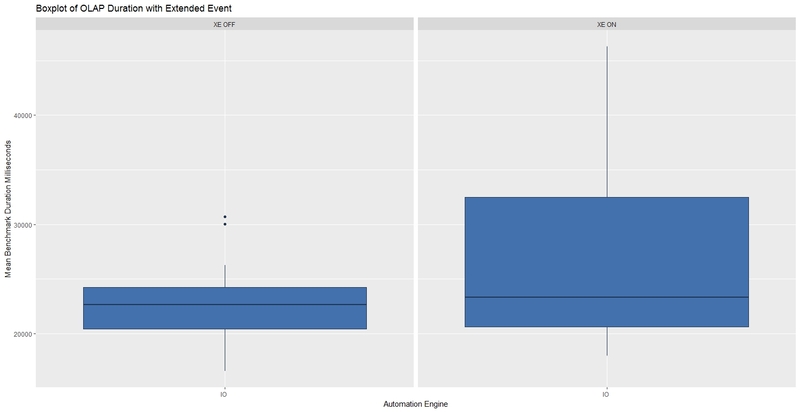 Schedule a SQL Agent job to run 24 hours before any event likely to impact a SQL Server instance, take a default CA Benchmark (~5 seconds) at five minute intervals, disable the job 24 hours after the change. A comparison of the before/after results should show whether the change had any impact on the performance of client requests to the instance. After installing new SQL Server instances, take a predefined (SLA) CA Benchmark that places some sort of representative load. This result in isolation isn’t very interesting but subsequently, any other new SQL Server installations can have the same CA Benchmark taken and the relative performance of the servers can then be compared. http://en.wikipedia.org/wiki/Conway’s_Game_of_Life – This Wikipedia link explains all the principles and patterns used in this article. The Hekaton Cellular Automation database setup script, ran before executing the scripts below. SQL Server Cellular Automation Benchmarking is licensed under the MIT license, a popular and widely used open source license. ./ostress -SVM01 -dCA_SQLHekaton -n2 -r1 -Q"EXECUTE [dbo]. [CA_Benchmark] @IO_Benchmark = 1, @Batches = 1000, @NewPatternsInBatch = 1, @StressLevel = 1, @Description1 = 'OLTP', @Description2 = 'Two Concurrent Requests', @Initialize = 1;" -o"C:\temp\log1"
./ostress -SVM01 -dCA_SQLHekaton -n2 -r1 -Q"EXECUTE [dbo]. [CA_Benchmark] @Hek_Benchmark = 1, @Batches = 1000, @NewPatternsInBatch = 1, @StressLevel = 1, @Description1 = 'OLTP', @Description2 = 'Two Concurrent Requests', @Initialize = 1;" -o"C:\temp\log2"
./ostress -SVM01 -dCA_SQLHekaton -n2 -r1 -Q"EXECUTE [dbo]. [CA_Benchmark] @IO_Benchmark = 1,@Batches = 10, @NewPatternsInBatch = 100, @StressLevel = 3, @Description1 = 'OLAP', @Description2 = 'Two Concurrent Requests', @Initialize = 1;" -o"C:\temp\log3"
./ostress -SVM01 -dCA_SQLHekaton -n2 -r1 -Q"EXECUTE [dbo]. [CA_Benchmark] @Hek_Benchmark = 1, @Batches = 10, @NewPatternsInBatch = 100, @StressLevel = 3, @Description1 = 'OLAP', @Description2 = 'Two Concurrent Requests', @Initialize = 1;" -o"C:\temp\log4"
./ostress -SVM01 -dCA_SQLHekaton -n1 -r1 -Q"EXECUTE [dbo]. [CA_Benchmark] @IO_Benchmark = 1, @Batches = 1000, @NewPatternsInBatch = 1, @StressLevel = 1, @Description1 = 'OLTP', @Description2 = 'One Concurrent Request', @Initialize = 1;" -o"C:\temp\log1"
./ostress -SVM01 -dCA_SQLHekaton -n1 -r1 -Q"EXECUTE [dbo]. [CA_Benchmark] @Hek_Benchmark = 1, @Batches = 1000, @NewPatternsInBatch = 1, @StressLevel = 1, @Description1 = 'OLTP', @Description2 = 'One Concurrent Request', @Initialize = 1;" -o"C:\temp\log2"
./ostress -SVM01 -dCA_SQLHekaton -n1 -r1 -Q"EXECUTE [dbo]. [CA_Benchmark] @IO_Benchmark = 1,@Batches = 10, @NewPatternsInBatch = 100, @StressLevel = 3, @Description1 = 'OLAP', @Description2 = 'One Concurrent Request', @Initialize = 1;" -o"C:\temp\log3"
./ostress -SVM01 -dCA_SQLHekaton -n1 -r1 -Q"EXECUTE [dbo]. [CA_Benchmark] @Hek_Benchmark = 1, @Batches = 10, @NewPatternsInBatch = 100, @StressLevel = 3, @Description1 = 'OLAP', @Description2 = 'One Concurrent Request', @Initialize = 1;" -o"C:\temp\log4"
./ostress -SVM01 -dCA_SQLAzure -n2 -r1 -Q"EXECUTE [dbo]. [CA_Benchmark] @IO_Benchmark = 1, @Batches = 1000, @NewPatternsInBatch = 1, @StressLevel = 1, @Description1 = 'OLTP', @Description2 = 'MAXDOP=0', @Initialize = 1;" -o"C:\temp\log1"
./ostress -SVM01 -dCA_SQLAzure -n2 -r1 -Q"EXECUTE [dbo]. [CA_Benchmark] @IO_Benchmark = 1, @Batches = 10, @NewPatternsInBatch = 100, @StressLevel = 3, @Description1 = 'OLAP', @Description2 = 'MAXDOP=0', @Initialize = 1;" -o"C:\temp\log1"
./ostress -SVM01 -dCA_SQLAzure -n2 -r1 -Q"EXECUTE [dbo]. [CA_Benchmark] @IO_Benchmark = 1, @Batches = 1000, @NewPatternsInBatch = 1, @StressLevel = 1, @Description1 = 'OLTP', @Description2 = 'MAXDOP=1', @Initialize = 1;" -o"C:\temp\log1"
./ostress -SVM01 -dCA_SQLAzure -n2 -r1 -Q"EXECUTE [dbo]. [CA_Benchmark] @IO_Benchmark = 1, @Batches = 10, @NewPatternsInBatch = 100, @StressLevel = 3, @Description1 = 'OLAP', @Description2 = 'MAXDOP=1', @Initialize = 1;" -o"C:\temp\log1"
./ostress -SVM01 -dCA_SQLAzure -n2 -r1 -Q"EXECUTE [dbo]. [CA_Benchmark] @IO_Benchmark = 1, @Batches = 1000, @NewPatternsInBatch = 1, @StressLevel = 1, @Description1 = 'OLTP', @Description2 = 'XE OFF', @Initialize = 1;" -o"C:\temp\log1"
./ostress -SVM01 -dCA_SQLAzure -n2 -r1 -Q"EXECUTE [dbo]. [CA_Benchmark] @IO_Benchmark = 1, @Batches = 10, @NewPatternsInBatch = 100, @StressLevel = 3, @Description1 = 'OLAP', @Description2 = 'XE OFF', @Initialize = 1;" -o"C:\temp\log1"
./ostress -SVM01 -dCA_SQLAzure -n2 -r1 -Q"EXECUTE [dbo]. [CA_Benchmark] @IO_Benchmark = 1, @Batches = 1000, @NewPatternsInBatch = 1, @StressLevel = 1, @Description1 = 'OLTP', @Description2 = 'XE ON', @Initialize = 1;" -o"C:\temp\log1"
./ostress -SVM01 -dCA_SQLAzure -n2 -r1 -Q"EXECUTE [dbo]. [CA_Benchmark] @IO_Benchmark = 1, @Batches = 10, @NewPatternsInBatch = 100, @StressLevel = 3, @Description1 = 'OLAP', @Description2 = 'XE ON', @Initialize = 1;" -o"C:\temp\log1"
All results were collected using the T-SQL script below, saved as csv files and passed to the R scripts.